Post event report on the 2nd annual benefit concert and gift drive for teens organized by Sack Full of Dreams and Compassion Care Center, a Los Angeles County non-profit serving at-risk, homeless, and foster youth. 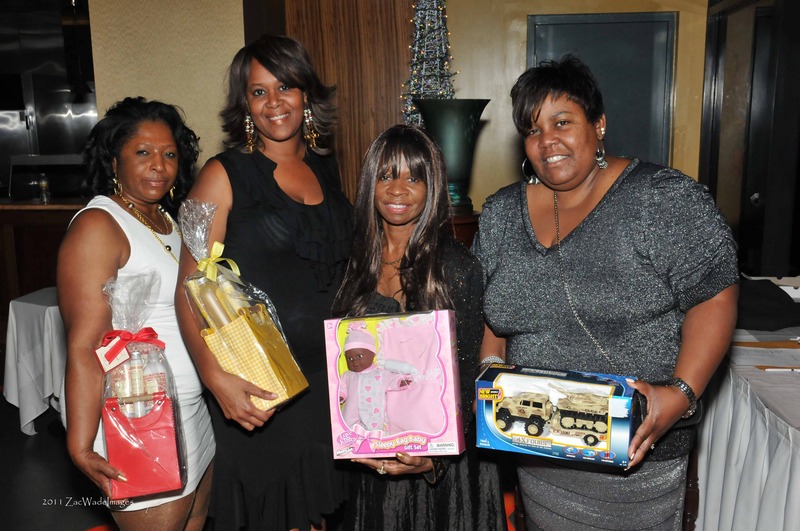 Vee Williams Entertainment in cooperation with Compassion Care Center, Inc. held the 2nd annual Sack Full of Dreams Time for Teens Gift Drive & Benefit Concert last Sunday evening at the Wilshire Grand Hotel in Los Angeles. The event benefitted the Compassion Care Center Alcohol and Drug Abuse Recovery Program and Sack Full of Dreams Performing Arts Program. Also in attendance were the Urban League and Good Kitchen 4 Kids non-profit foundations. Sack Full of Dreams Performing Arts Program instills youth empowerment through the arts. From nourishing self-esteem through dance, drama, poetry/spoken word, music production and vocal lessons, youth have a voice and are encouraged to make life choices that will better their future. “The transformation that many of the youth have made as a result of the performing arts program is heartwarming,” states Veda Curry, Co-Founder and Executive Director of Sack Full of Dreams. ‘Compassion Care Center Alcohol and Drug Abuse Recovery Program is 501 (c ) 3 outpatient treatment center committed to assisting with life management skills and encourages lifelong recovery. Under the direction of Ms. Judy Comer, President, and Mr. Jerome Comer, Executive Director, this organization is fueled by the purpose of the Compassion Care team. “We truly desire to be the place that people come to Where Despair Ends and Hope Begins,” states Ms. Comer. Some of the exciting highlights of Sunday’s event included Adrien’s riveting performance and release of his new single “Starlight” featuring PT of the rap duo PT/Rome which poses the haunting question many of these foster and at risk teens are silently screaming “Is there anybody out there…can anybody hear me? I need you, so badly….please!” Proceeds from the sale of this release will go to benefit the youth in Compassion Care Center’s Sack Full of Dreams Performing Arts Program, Co-Founded by Adrien Curry. 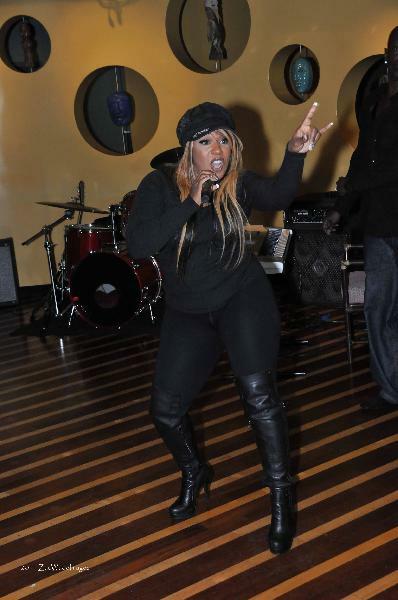 The audience was graced with a special guest performance by Chozzen Empire artist Felecia Howse, vocalist from Bone Thugs& Harmony,who performed her new single entitled “None of Yo Bizniz” featuring REDD. 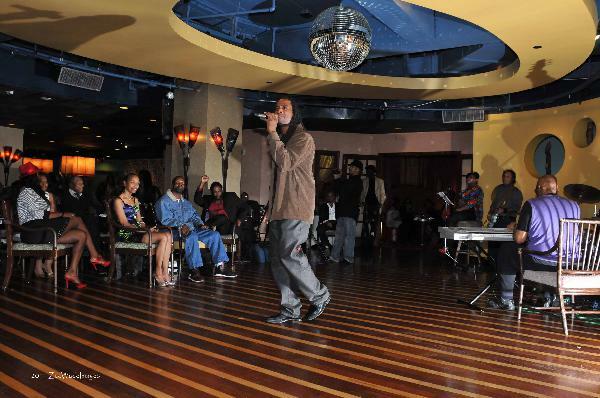 As well, Lazy Bone of Bone Thugs & Harmony gifted 60 of his new CDs to the youth in the program. 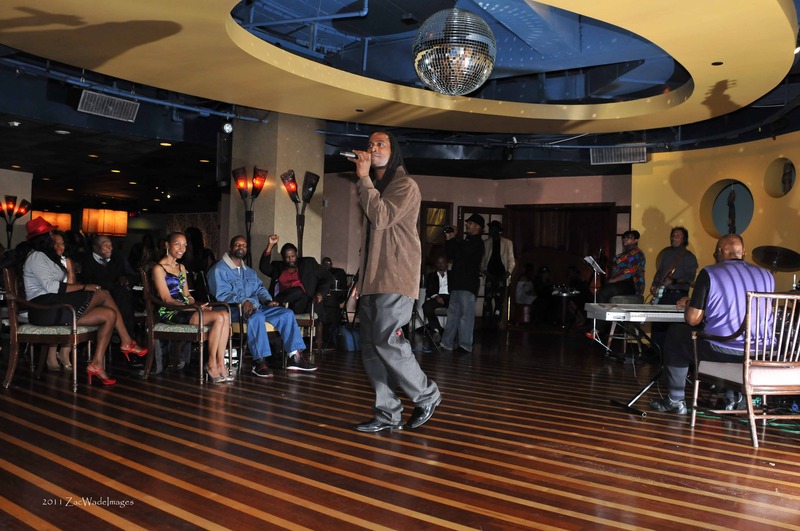 Another very special guest who graced the stage with a live performance during Sunday’s festivities was BET comedian, and celebrity stylist Antonio Black, who warmed the crowd with his social consciousness infused with hysterical comedy. 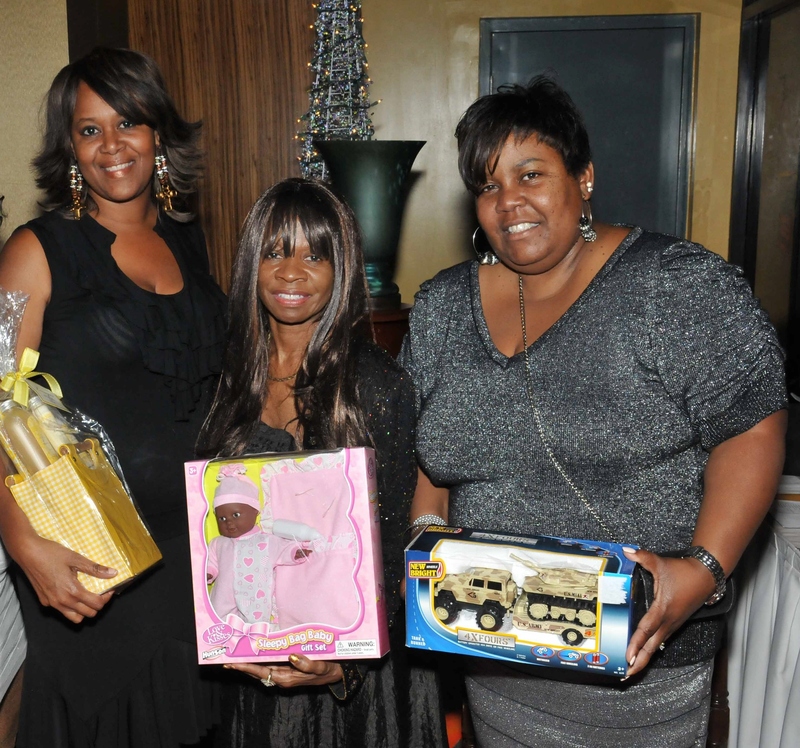 Together, Antonio Black, Felecia and REDD have agreed to donate their services and gift total makeovers for over 75 girls in the program. In retrospect, it was an incredible night full of creativity, inspiration and positive progress. Sack Full of Dreams and Compassion Care Center looks forward to holding their annual TIME FOR TEENS Christmas party for the program participants and various youth-based organizations in their community on Thursday, December 22, 2011. Also worthy of mentioning, Nationwide Insurance adopted one of the young men from the program, 18 year old, African American male, Devonte, and gifted him with hundreds of dollars worth of clothes, shoes, gift cards, and personal hygiene items. Cedar Sinai’s women’s book club adopted one of the18 year old African American girls, Sharnice, an amazing poetry writer and spoken word artist. They have committed to assisting her with publishing her book of poetry and gifted her hundreds of dollars of clothes, shoes, gift cards and personal hygiene and grooming items. The Way Forward Foundation adopted Caydee, a 17 year old African American girl and presented her with gift cards. Compassion Care Center and Sack Full of Dreams presented Phylicia, an 18 year old African American girl, with a certificate of excellence for making a 180 degree turn in her education and presented her with gift cards. 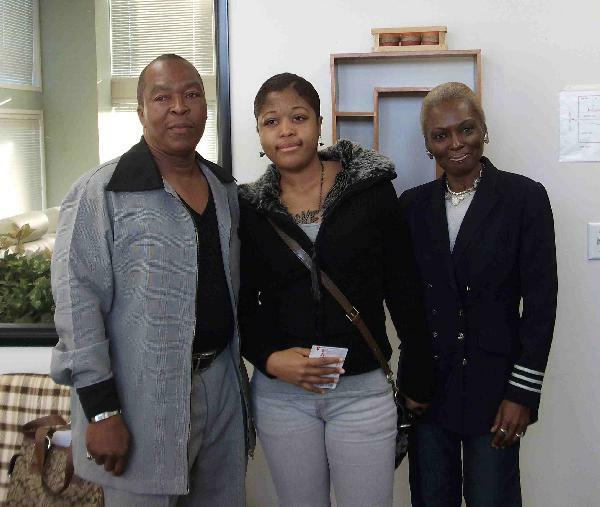 To learn more about Compassion Care Center visit www.compcarela.org or call (310) 230-5574. To learn more about Sack Full of Dreams visit www.sackfullofdreams.org or call (323) 521-6317. Nationwide Insurance agents sponsor a teen for Christmas. 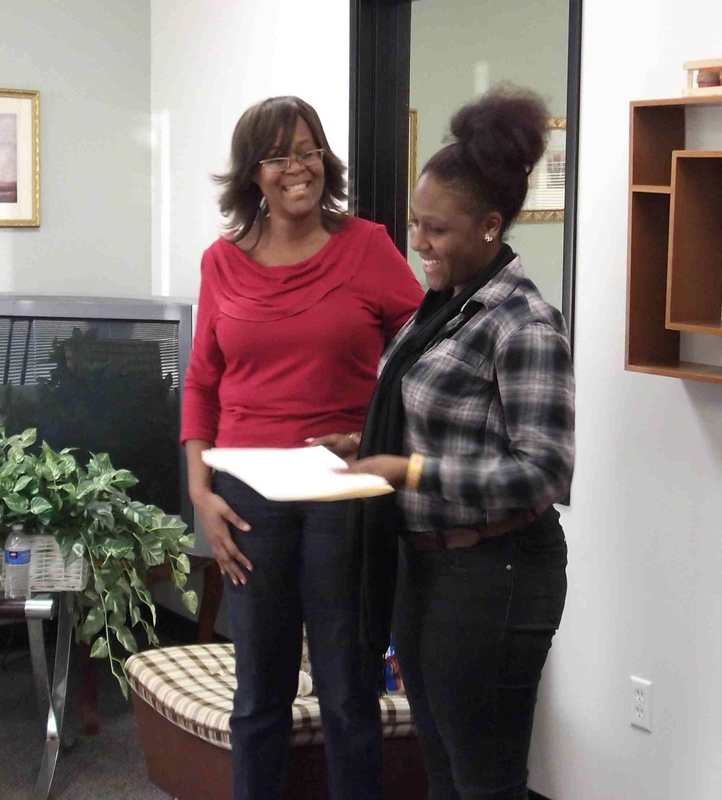 L.A. teen, Sharnice receives her Christmas miracle. 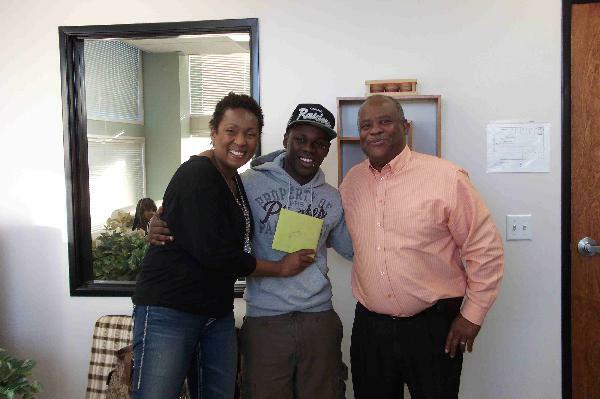 The Way Forward Foundation adopts a teen for Christmas.